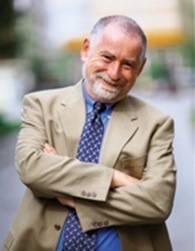 Peter Schwartz is Senior Vice President for Global Government Relations and Strategic Planning for Salesforce.com. In these roles he directs policy and politics throughout the world and manages the organization’s ongoing strategic conversation. Prior to joining Salesforce he was cofounder and chairman of Global Business Network, a partner of the Monitor Group, a family of professional services firms devoted to enhancing client competitiveness. An internationally renowned futurist and business strategist, Peter specializes in scenario planning, working with corporations, governments, and institutions to create alternative perspectives of the future and develop robust strategies for a changing and uncertain world. From 1982 to 1986, Peter headed scenario planning for the Royal Dutch/Shell Group of Companies in London.